Customs Broker | Freight Forwarder | BDG International, Inc.
For over three decades, BDG International has been a customs broker. Their other specialties include freight forwarder and international trade consultant. 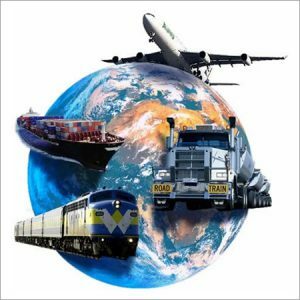 We strive to meet our clients’ every need and our team consists of highly trained professionals that hone their skills in the latest transportation regulatory and logistics changes. At BDG International, our experienced personnel utilizes the latest in logistics technology to meet the demanding information needs of today’s importer and exporters. Continually refining our methods allows us to provide competitive pricing and superior service. We excel at shipping to developed parts of the world. Our works include but are not limited to letter of credit, dangerous goods, destination documents, Project Cargo, legalization, destination delivery, and customs clearance. Our extensive knowledge of logistics helps our clients solve difficult challenges. If you are in need of an experienced customs broker or if you would like to know more about our other services, call us today at (847) 760-0000. You can also reach us by filling out the contact form located on this page and one of our associates will get back to you as soon as possible. At BDG International, we are a licensed Customs Broker with ABI interface with U.S. Customs. Our advanced brokerage software and trained team of professionals allows us to provide your company with efficient and fast clearance services at any Customs Port in the United States. For more information on our customs brokerage services and how it can help your company or if you have any questions about our other services, call us today at (847) 760-0000. Or fill out the contact form on this page and we will respond shortly. If you have questions or comments, please send us a message and a representative will contact you shortly. 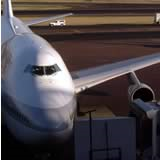 For nearly 35 years BDG International has been offering reliable air freight services utilizing over 75 major airliners. Our team consists of trained, certified, and experienced professionals who work hard to stay ahead of the curve to provide exceptional service. We strive to meet every need of our clients while providing competitive pricing. At BDG International, we excel at shipping to developing parts of the world and specialized transportation projects. Included in these projects were shipments and transportation of dangerous goods, Project Cargo, destination delivery, custom clearance, and more. We use our knowledge gained through experience to assist in solving complex logistical challenges. If you have any questions about our air freight services or if you would like to know more about our other services, call us today at (847) 760-0000. You can also fill out the contact form located on this page and we will get back to you as soon as possible. At BDG International, we have access to over 75 major airlines to help customize your route based on shipment, airliner, shipper, and consignee parameters. Once we pick up your cargo, we begin the booking process and provide confirmation in advance. To ensure your cargo arrives in the condition it was in when shipped, we verify the pieces, weight, and condition at our designated warehouses. Call (847) 760-0000 today to discover how our air freight services can benefit you and the recipient. You can also reach us by filling out the contact form on this page and we will respond shortly.